During the months of May and June, ASUS Camps offers hour-long innovative, interactive, and educational Arts and Science workshops based on the Ontario curriculum. Shad Valley is a four-week summer enrichment program. Students spend a month living in residence at one of our host university campuses across Canada. The program is offered to students currently completing grade 10, 11, or 12, Québec secondaire IV, V or CEGEP I, or the international equivalent. 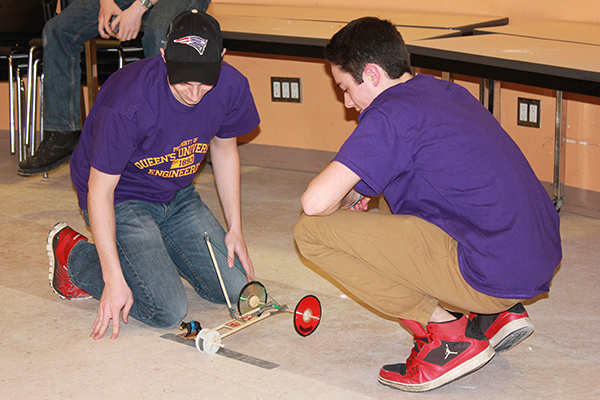 Queen's Summer Engineering Academy (QSEA): New for 2016, a summer program called the Queen's Summer Engineering Academy (QSEA), a non-credit program to provide an overview of engineering for students entering grades 10-12. The program will focus on broad concepts within several engineering disciplines (Mechanical, Chemical, Civil and Electrical-Computer engineering), challenging the students without being technically overwhelming. The academy will be available in both one-week and two-week versions. Students will be supervised full-time, and have the option to stay in on-campus residence buildings, which would include all meals and evening activities. From private lessons to group courses, ensembles, workshops, and performance opportunities, we are dedicated to providing the highest level of music education to musicians of all ages in a non-university credit setting. A national one-day public festival of events that takes place annually. The Kingston venue for Science Rendezvous showcases the passion and importance of science and research. The primary audience for Science Rendezvous is families with children, but activities appeal to people of all ages.